Acupuncture utilises needles to correct the flow of Qi, or energy, flowing in the body at junctures close to the surface of the skin. In Chinese medicine, a centrally held tenant is that disease is an interruption of this energy; Chinese medicine focusses not only on the treatment of disease but its prevention. It is a holistic approach that can be sadly lacking in many western medicine systems. What’s more, acupuncture (when undertaken by a trained and professional acupuncturist) has been scientifically proven to be a safe and useful treatment for many disorders including, but not limited to, dental and jaw pain, and nausea caused by chemotherapy. It can also be used to treat infertility, obesity, sleep disorders, other pain conditions, musculoskeletal disorders, and disorders of ageing, nutrition and energy. 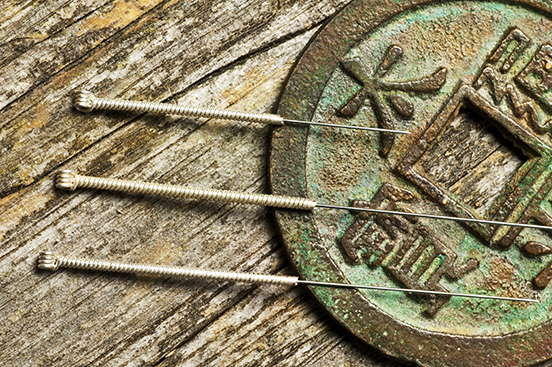 You don’t need to believe in the underlying philosophy to benefit from acupuncture. You don’t need a referral from a doctor. And the same cautions apply as when considering any form of medicine: speak with your acupuncturist before beginning treatment, take into account potential side effects and make sure any clinic you visit is approved, accredited and has the appropriate sanitary practices in place.